Politics and politicians—why can’t we do without them? Especially during period of election when the media spins stories and it’s difficult to know who to trust versus who not to trust. Caregiving situations where multiple family members are involved, presents a similar situation. There are times when it’s difficult to know the good caregiver from the ill-intended caregiver. How might a caregiver be likened to a politician? What can be done to avoid a caregiver creating enemies with family and service providers who might be involved in care situations? Honestly there are times when even I look at a situation and see it to be purely without reason or a logical thought process. What might a caregiver embroiled in a political battle between family members do to survive? Below are three tips to help caregivers survive political battles and make friends versus creating enemies. Talking about individuals who are not present to participate in a conversation or being unsupportive of a care situation by making derogatory remarks or comments is never helpful to the overall situation. Many times parents will spin information by reporting that someone else said “this” and a world war between family members ensues. Does the parent know the situation he or she is creating? Maybe or maybe not. What happens when adult children talk poorly about siblings? The same situation relative to a lack of respect exists. There are times when it is difficult to describe a situation without talking about others, however if this is necessary be respectful and assume the best intentions. Managing a tight budget— the U.S. government spends money it doesn’t have and much of our debt is owned by foreign countries which presents a dangerous situation. Caregiving families don’t have this option. Many families eventually plan for Medicaid, which is public assistance for care, and then complain that they have to give up all of mom or dad’s money. It’s impractical to have the government pay for care when families have money to pay for care. Medicaid, many times, is an ethical dilemma between believing that one should be self-sufficient and pay for care versus the belief that the system owes individuals and the government should be responsible for health care. Getting along without creating enemies; who doesn’t love an occasional good fight? In caregiving you may win the battle but lose the war if the person you annihilated is a person with whom you must have a long term relationship. There is no point in creating adversaries if one can create collaboration. Agreed that all may not agree but at a minimum reducing disagreement is helpful for a situation. Most parents don’t want adult children fighting over care situations. Some parents lack the mental capacity to understand that their children are fighting. And over what—usually money, control or self-interest. The better situations result when all disagreeing parties are able to come to a compromise and focus on the care needs and the best interest of the parent or individual in question. While battles often begin when adult children are young, these turf wars or slights continue as adult children age and are sometimes never forgotten or never forgiven. Who received the Barbie Doll and who received the rag doll? Were you the child who received the new prom dress or the child who wore hand-me-downs and felt that you should not complain? The son who had an amazing train set while your brother was lucky to receive a Tonka truck. Loved ones, your parents, grandparents, brothers or sisters, are not territory over which to fight. They are individuals who benefit from family members who are able to work together rather than engaging in knock down drag-em-out battles that one day will be worthless when a loved one passes and the only memories remaining are of fighting the battle and losing the war. Leave the politics to the politicians, many who view dishonesty, slander, and inappropriate behavior as the rule of the day. Pamela D. Wilson, MS, BS/BA, CG, CSA, Certified Senior Advisor specializes in working with family and professional caregivers to navigate healthcare and aging concerns. 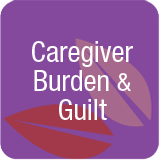 Wilson, an expert in the field of caregiving, has personally helped thousands of family and professional caregivers since 2000 in her career as an advocate, a care navigator, and an educator. Through her company, The Care Navigator, she is an advocate and service provider in the roles of guardian, power of attorney, care manager, and transition specialist. She was producer and host of The Caring Generation®, from 2009 to 2011, an educational radio program for caregivers on 630 KHOW-AM. Her new book, The Caregiving Trap: Solutions for Life’s Unexpected Changes, is available through all major bookstores as well as on PamelaDWilson.com. You can follow Pamela on YouTube, Facebook, Twitter, and Linked In.